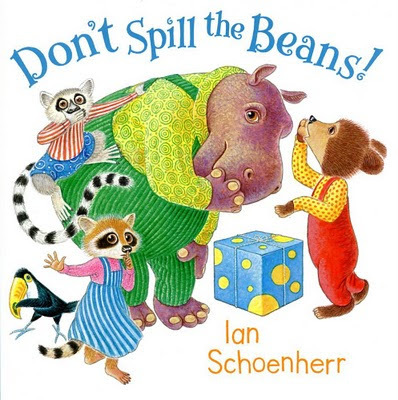 Ian Schoenherr: My New Book - Don't Spill the Beans! My New Book - Don't Spill the Beans! Need a special birthday gift? Need a special birthday gift for a child in your life? Need a special birthday gift for a child in your life to bring to yet another children's birthday party? More filling than balloons and streamers! More nutritious than birthday cake! A * starred review * in School Library Journal! Buy Don't Spill the Beans! Spilling the Beans on Don't Spill the Beans!